Welcome to The International Beer Shop! A big welcome from the team at the International Beer Shop! This web site is dedicated to the beer drinkers of Australia who take their favourite drop seriously. 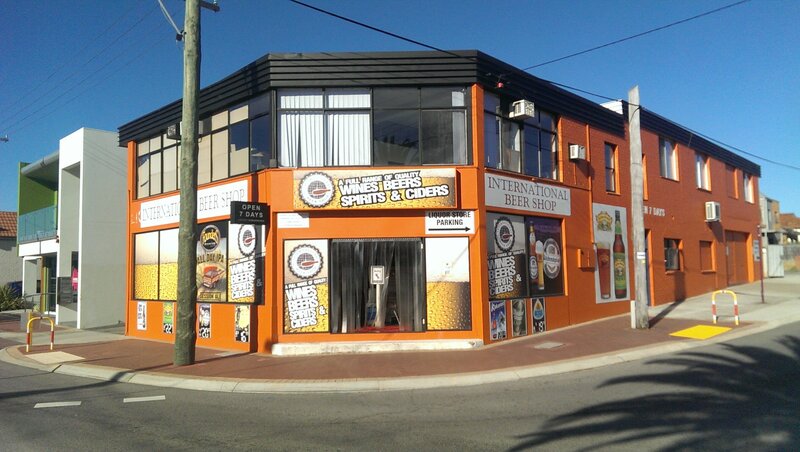 The International Beer Shop was Australia's first dedicated beer shop, opening our doors back in 2002 and collecting as much quality beer under one roof as is possible. We are dedicated to sourcing and stocking the very best premium beers from the world’s finest breweries, and pride ourselves on storing and presenting our beers in the best possible condition. Our shelves have grown over the years and now carry anywhere from 600 to 1000+ different beers at any one time - arguably Australia's largest range of local and international beer. Our staff are incredibly passionate about beer and love helping our customers find their new favourite drop, find the perfect gift, or just have a chat about beer. We are also happy to help you if you're planning a beer tasting event but don't know where to start, we'll take you through your options and help you figure out the right mix for your needs. Our mission is, and always will be, to increase the public appreciation of the world's oldest, most popular alcoholic drink, to pull it back from the dark ages of mass produced, flavourless swill and give it back the respect it truly deserves.